This is the Marvel Universe. Where the personalities, powers, and straight-up legends of countless heroic women have captured readers for generations. 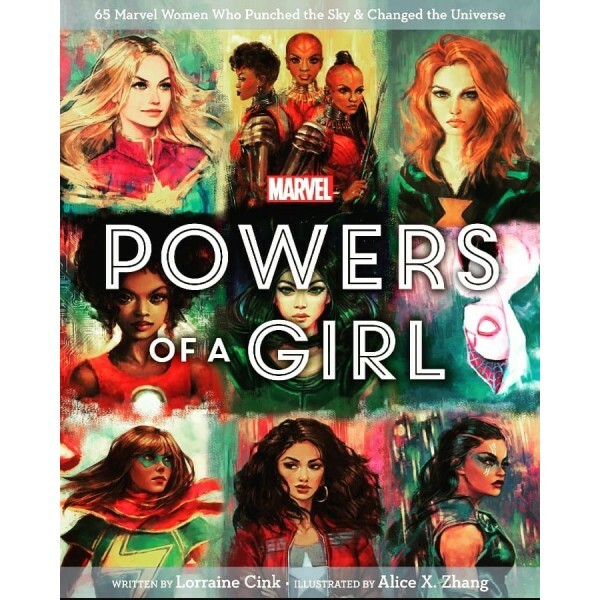 This unique book is the perfect start — or addition — to any Marvel fan's collection! 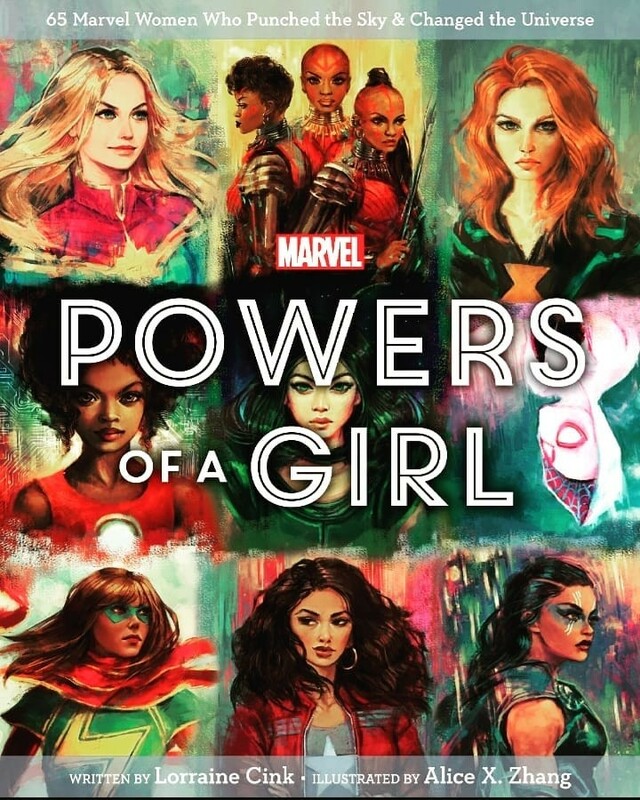 Using her in-depth knowledge and passion for Super Heroes, Lorraine Cink explores the lives of the exceptional and diverse women of the Marvel Universe. Filled with inspirational lessons and clever observations, each section digs into what these relatable women can teach us all about growth, bravery, and the true meaning of strength. Paired with over one hundred original, vibrant, and emotive illustrations from the talented Alice X. Zhang, this book balances the responsibility and the fun the comes with being a hero.